The Binnig and Rohrer Nanotechnology Center (BRNC) in Zurich, Switzerland has installed the Prism Award-winning Photonic Professional GT 3D printer from Nanoscribe. This will allow IBM Research and ETH Zurich access to nano- and microfabrication techniques opening new opportunities for research. The BRNC is the centerpiece of a public-private partnership in nanosciences and technology of ETH Zurich and IBM Research. It features cutting-edge infrastructure for nanotechnology research and is well known for its noise-free labs. Researchers at the University of Southampton’s Zepler Institute are set to investigate additive manufacturing techniques for fabricating optical fibre. 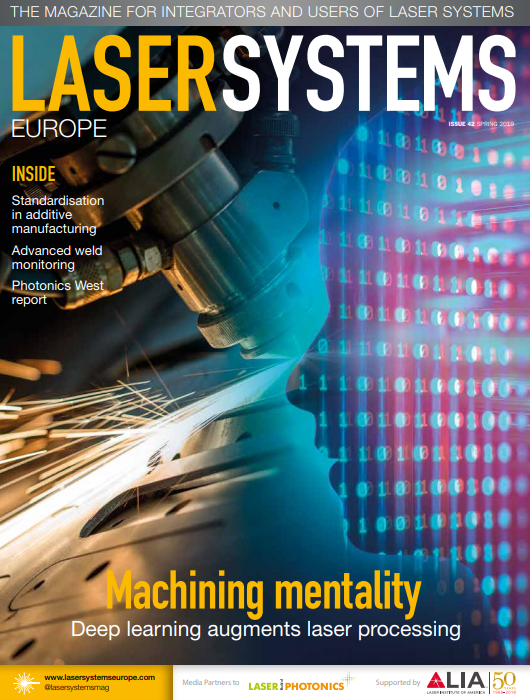 If successful, the process could help create complex fibres for high-power laser applications and the telecoms and medical industries. The team aim to simplify the production of optical fibre performs from which a fibre is drawn, and creates intricate internal structures such as bandgaps. This is currently one of the most difficult stages in the production of optical fibres. The Laser Zentrum Hannover (LZH) and the Institut für Werkzeugforschung und Werkstoffe (IFW) in Remscheid have developed a mobile, laser-based process chain for gluing the cutting segments onto a diamond saw blade and removing them subsequently without causing damage. The processing of natural stone such as marble or granite is usually done with saw blades with hard-wearing, diamond cutting segments. When these are damaged or worn, the cutting segments have to be replaced. TWI and the University of Cambridge have created the world’s smallest weld in thermoplastic material. The research could satisfy industry calls for welds in plastics below 10μm. As the result of a Research Executive Agency (REA) funded project, Fraunhofer ILT and partners have found that Ultra-short laser pulses can modify material surfaces to allow easier adhesion of metal powder from a low-pressure cold gas jet.